We manufacture sliver cans for all types of carding, drawing, combing, roving and spinning in our US manufacturing plant. We offer sliver can refurbishing and repair services. We will pick-up your damaged/ worn-out sliver cans - refurbish them at our facility - then return them to your plant. We offer standard and custom sliver can sizes and round or rectangular styles as well as optional, heavy-duty roto-molding or anti-static HDPE fabricated sliver cans. No matter which manufacturer of sliver cans you have - DEW, CSI or Tateishi, Conitex Sonoco can furnish our high quality parts and accessories as replacements. In 2004 Conitex Sonoco expanded our textile product offering to fulfill the need for sliver cans for our US customers. 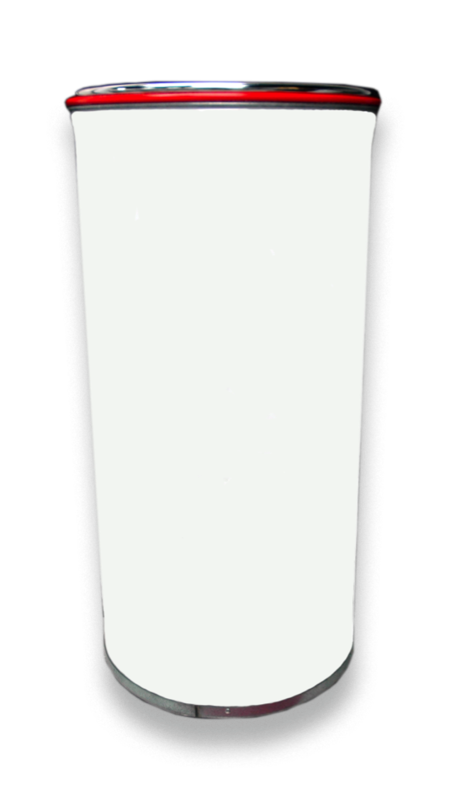 As leading sliver can manufacturer D.E. Williams succumbed to a shrinking US textile market, Conitex Sonoco acquired DEW’s assets to help our customers continue to operate seamlessly. Today, we continue to offer the same high-quality sliver cans for new operations as well as spare parts and refurbishing and repair services for existing operations. Our US manufactured anti-static HDPE sliver cans are welded and trimmed to prevent snagging during fill-up and emptying. We offer our HDPE sliver cans in a full range of styles and sizes in standard and high-performance grade. 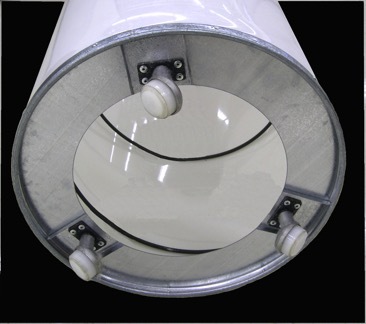 All diameters and heights can be customized to meet specifications with and without casters. Conitex Sonoco supplies high quality components for sliver cans, no matter the manufacturer. 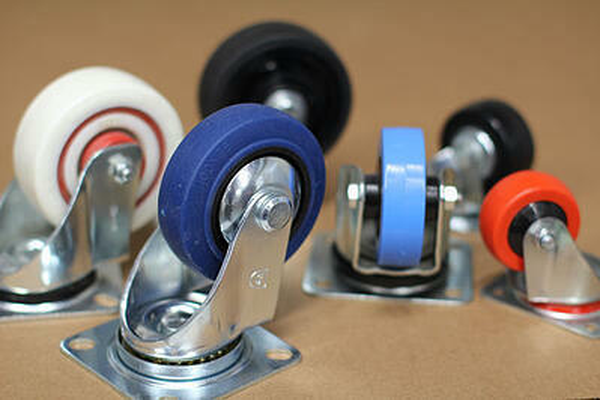 View our selection of casters, springs, piston lids, ID bands and glide ring boots. The Hammer® 100mm swivel caster’s highly durable design makes it the premium workhorse and our recommended choice for all card cans. Recommended for sliver cans through 24 inch diameter with short staple fibers or buggies and bundle carts. 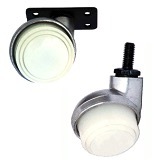 Load per caster is 40-50 lbs, available in swivel only with rectangular top or threaded stem. Bolt holes for rectangular top are 7mm diameter and bolt hole spacing is 22mm x 56mm. The 3/8 inch threaded stem length is 22mm or 40mm. Recommended for sliver cans through 30 inch diameter with short and long staple fibers and bundle carts. 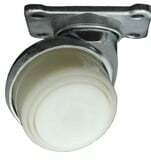 Load per caster is 50-60 lbs, available in swivel only with rectangular top or threaded stem. Bolt holes for rectangular top are 7mm diameter and bolt hole spacing is 22mm x 56mm. The 3/8 inch threaded stem length is 40mm. Recommended for sliver cans through 36 inch diameter with short and long staple fibers and popular on many carding and drawing processes. 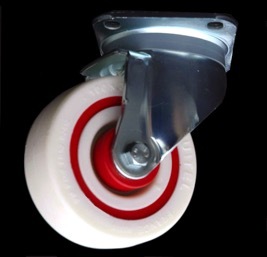 Load per caster is 60-70 lbs, available in swivel or rigid styles. Bolt holes for rectangular top are 7mm diameter and bolt hole spacing is 45mm x 80mm. Recommended for sliver cans through 40 inch diameter with short and long staple fibers. 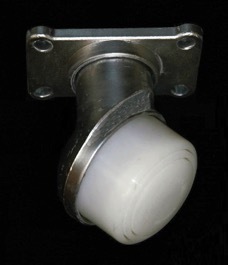 Load per caster is 90-110 lbs, available in swivel or rigid styles. Bolt holes for rectangular top are10mm diameter and bolt hole spacing is 50mm x 85mm. Recommended for sliver cans through 40 inch diameter with short and long staple fibers and often used on yarn trucks. Load per caster is approximately 300 lbs when pulled or towed by a tow motor vehicle or 175 lbs when truck is to pushed by human movement. 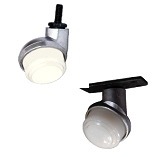 Available in swivel or rigid styles. Bolt holes for rectangular top are 11mm diameter and bolt hole spacing is 70mm x 121mm. 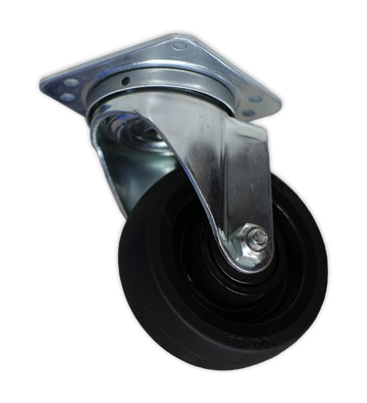 Closa swivel casters come in right (D) and left (I) types. Proper rollability requires two right-hand casters and one left-hand caster or it requires one right hand caster and two left-hand casters (examples are DDI or IID). McArthur Casters – 100mm and 125mm with thread guards are used successfully on sliver cans 40 inches and over. Recommended weight is approximately 400 lbs and is available in swivel and rigid types. Bolt holes for rectangular top is 8mm diameter and bolt hole spacing is 60mm x 80mm. The load (or pressure) to be applied on the sliver can spring varies depending upon the material (stock) to be spun. 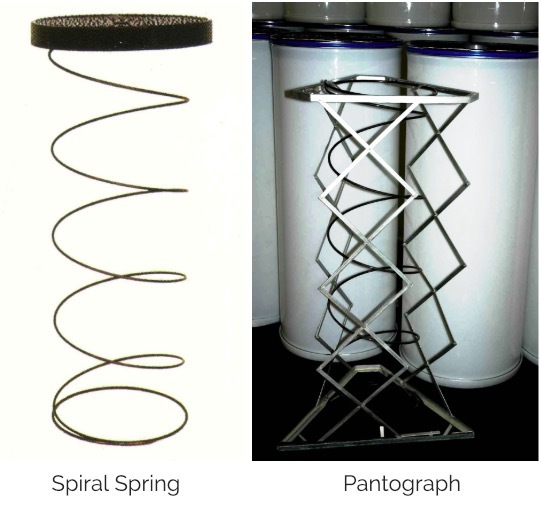 Conitex Sonoco supplies sliver can springs for all types of short or long staple fiber. The two main types are single coil springs and pantograph springs for the stability of large sliver cans and heavy weight loads. Protects outer sides of sliver can when parked side by side and is often used as fiber identification. Available sizes include: 16”, 18”, 20”, 24”, 28”, 30”, 36” 40” and 48”. Elastic ID Bands are used by spinners to help keep different fibers and slivers separated. Available sizes either in a 1 or 2 inch width for the following sliver can sizes: 16”, 18”, 20”, 24”, 28”, 30”, 36” 40” and 48”. Solid colors only - see colors available below. Woven Spandex ID Bands represent the newest innovation in sliver can identification. These bands offer custom identification because they can be in various patterns (stripes, checkerboard etc) or custom woven numbers or words. The greatest benefit is that they will last for years without losing elasticity. Most piston lids come in black plastic. Metal piston lids are available in 36”, 1,000mm & 40”. Listed below are common sizes available. Available on can sizes: 16”, 450mm, 18”, 20” & 24”. Allows a can without casters to slide much easier on floor. Easy on spinning operators. Prevents wear on bottom of sliver can and reduces wear on floors. Bail Straps and Hardware, card can handles and card can latches are available. Reach out to one of our customer service representatives with your sliver can needs, and we will give you a personalized quote.